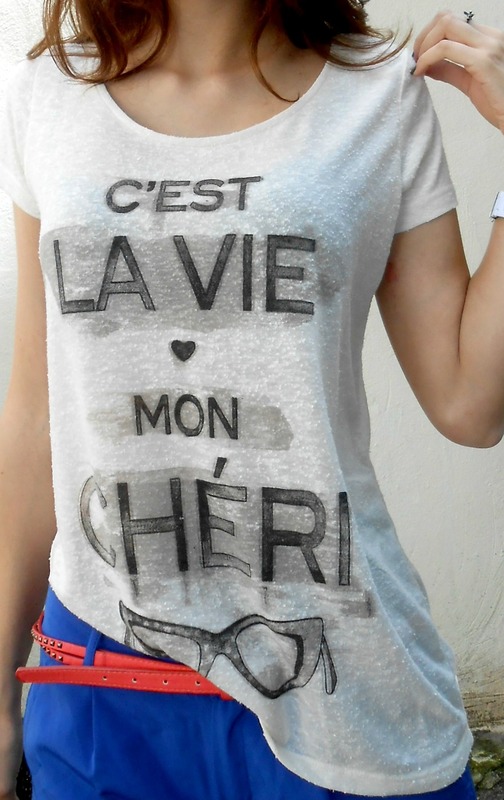 OOTD :C’est la Vie mon Chéri ! So I have time for a really quick outfit post ! P.S. So sorry for the horrifying photo quality :(!! My camera isn’t fixed yet… I’m so furious! Hope you liked my post and don’t forget to check amazing deals on my page!! Very well done. Your style proves that people can still rock graphic tees. I like the clutch and the shoes. This is my first time here. I look forward to seeing more from you. Very cute, effortless and chic all in one. Good post! I LOVE the graphic top that you are wearing! This shirt has inspired me to take on a diy project in my near future 🙂 I also love the clutch that you have! cool outfit, every piece worked well together. cool look dear! :) love the shoes and the clutch! :) I'm your 100th follower! :) kisses! Thank you so much! I love it when someone tries to describe my style cause I can learn for it! I am also opened to constructive critic as well ! 😀 I can wait to see it! ! I saw that !! Congrats and thank you so much!